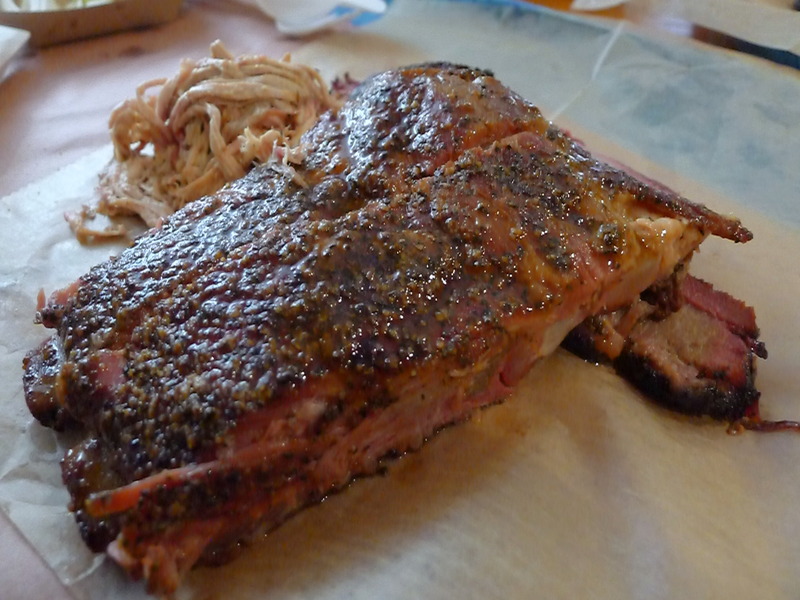 The next day, after my meaty dinner at Sullivan’s, I ventured to Franklin Barbecue for even more meat. Much has been written about Franklin Barbecue with some press publications alleging it to be the ‘best’ BBQ in the United States. Franklin also featured on Anthony Bourdain’ No Reservations series, and in the movie Chef, Chef Carl Casper stopped off at Franklin Barbecue in his food truck as he drives through Texas. 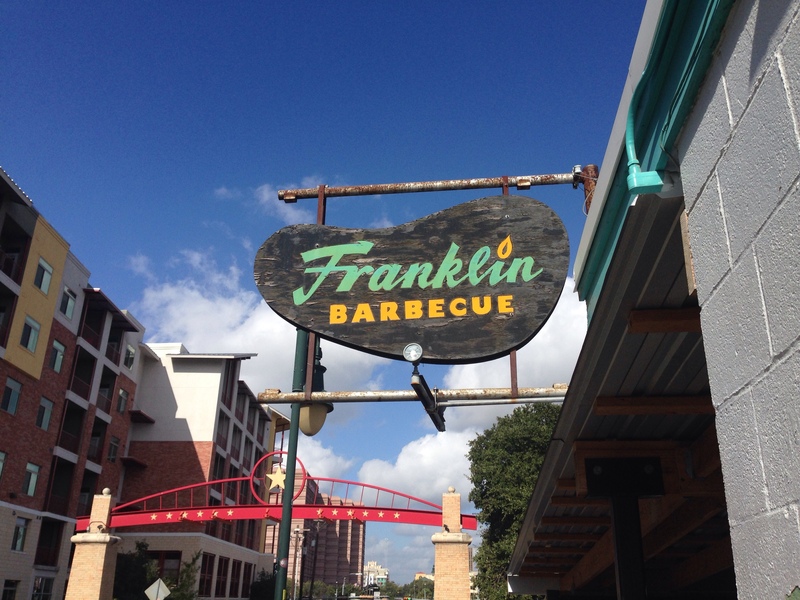 So what makes Franklin Barbecue so famous? There are many factors, one of which is the quality A-grade meat that they use. Franklin Barbecue also uses an especially dry Post Oak wood which has been cured for 9-12 months that helps to impart a special mild smoky BBQ flavour. Franklin also adopt a slow cooking technique, one that they have refined over the years. Depending on the meat, the cooking process can last for up to 18 hours, at cooking temperatures of between 225 to 250 degrees Fahrenheit (about 107c to 121c), to produce that incredible melt-in-the-mouth effect for which Franklin is so famed. Quality came with a price, and in this instance it was a horrendously long wait. Franklin’s opens at 11am each day and closes when all the meat runs out. On Fridays and Saturdays, lines start forming at 7am and the wait can last for about four to five hours. It might be hard to believe, but hand on heart, I turned up to Franklin’s at 9am on a Friday morning and was not served until 2pm – a long and torturous five-hour wait. Most people came prepared with foldable chairs and iceboxes stacked with beers to while the time away. 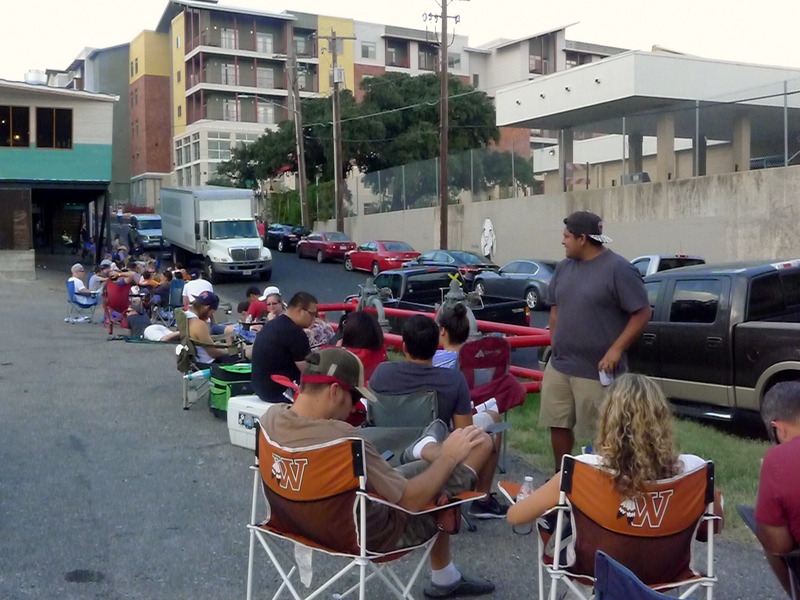 I made friends along the way with my neighbours in the line, and the upside is that after having waited for five hours, you appreciate the experience of eating Franklin Barbecue meat that much more. So how good was it? I tried every type of meat on the menu and my personal favourite was the ribs ($16 per pound). These were fabulous and was the most incredibly tender set of ribs that I have ever tried. My next favourite was the brisket ($19 per pound) and this is the cut for which Franklin is famed. Normally an incredibly tough cut of meat, Franklin has managed to make this into something special by turning it into something wonderfully tender and moist as well. With the brisket, you get a choice of the fatty end or non-fatty end, and I would definitely recommend getting the fatty end for that extra bit of flavour. The barbecue turkey ($16 per pound) was also a surprising winner as this was wonderfully flavoursome and juicy. The sausage ($3 a link) was tasty but unremarkable, and the pulled pork ($15 per pound) didn’t quite have the flavour I was expecting. 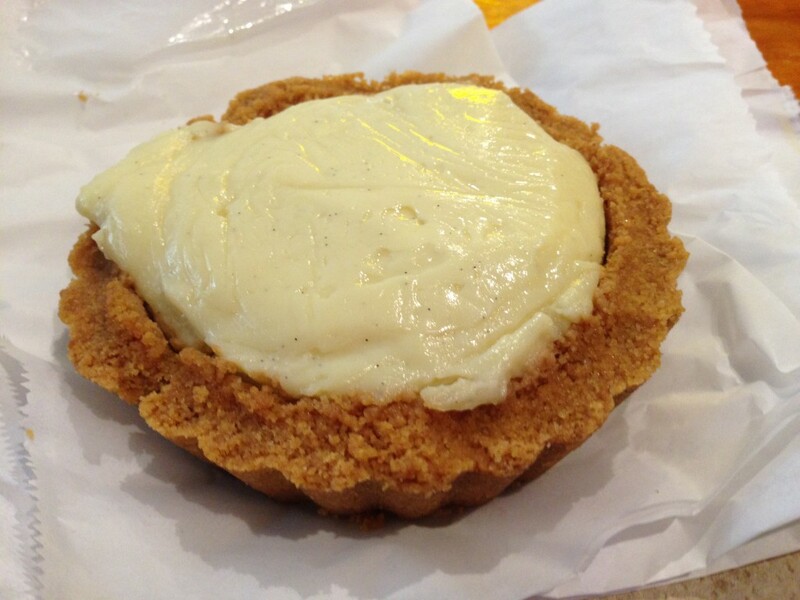 Not that I needed more food, but I also tried the bourbon banana pie which was really tasty with a thick crust and a creamy banana custard centre that gave way to only a gentle hint of bourbon. It was pleasant dessert and a nice way to finish the meal. 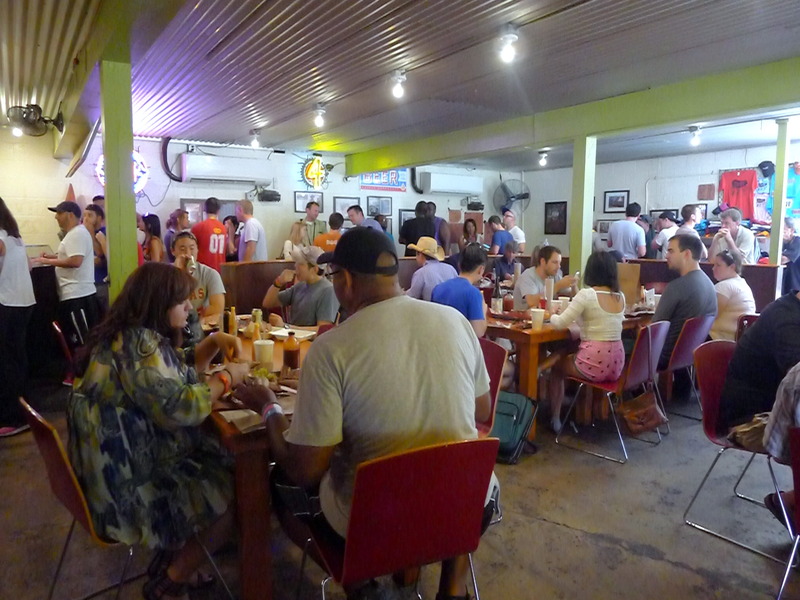 So was Franklin Barbecue worth the five-hour wait? I’m glad I went because who knows if I’ll ever go to Austin again. But Franklin’s fame has a lot to do with the fact that it is a media darling and because it has gained a cult following. The barbecued meats were for the most part excellent, but at the end of the day it was ONLY barbecue meat. It was worth trying once my life, but I certainly don’t intend on waiting five hours for Franklin barbecue meat again. 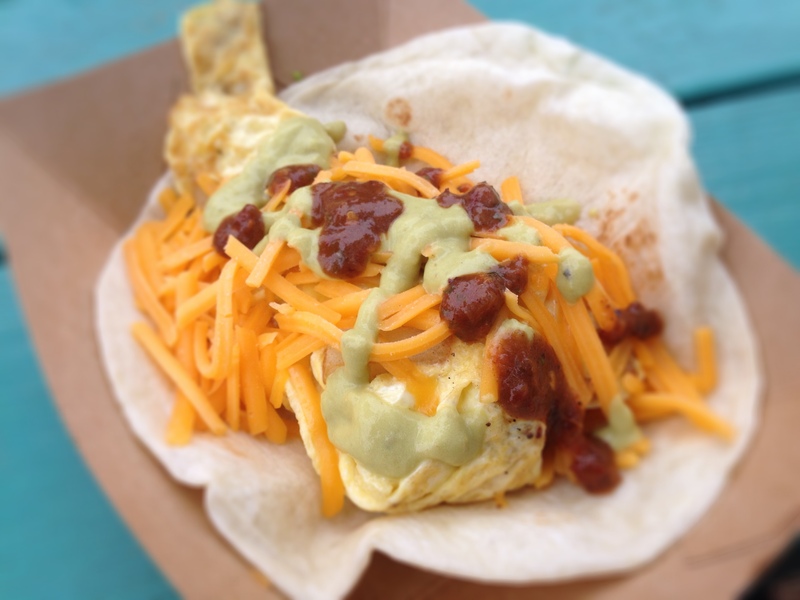 Also in Austin, make sure you check out the breakfast burritos. These are a must for Austinites. My favourite was the egg, cheese and potato. You can get these from various establishments through out Austin, and every Austinite will tell you where there favourite is. I tried Mellizoz Tacos and their breakfast taco was delicious! Their tacos are made to order and come piping hot. Austin Texas, glad you liked them!